Pope Francis has appointed Bishop Robert Byrne as Bishop of Hexham and Newcastle. Bishop Byrne, an auxiliary Bishop of Birmingham, succeeds Bishop Séamus Cunningham, who has led the diocese since 2009. Bishop Byrne will be the 14th Bishop of Hexham and Newcastle. Bishop Byrne, an Oratorian, was born in Manchester on 22 September 1956. He was ordained priest in 1985 and Auxiliary Bishop of the Archdiocese of Birmingham on 13 May, 2014. Speaking of his appointment, Bishop Byrne said: “I am deeply humbled by the trust Pope Francis has placed in me with this appointment as Bishop of Hexham and Newcastle. 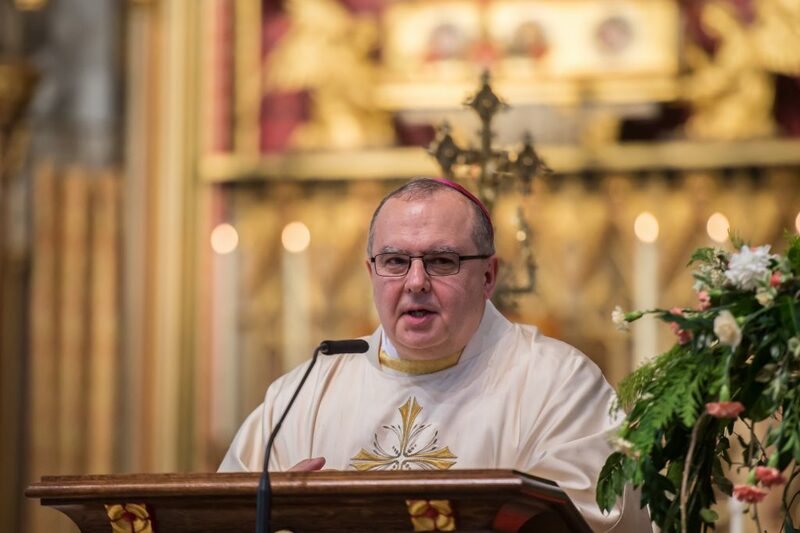 “I would like to thank the people and priests of the Archdiocese of Birmingham where I have served for the past five years and, in particular, Archbishop Bernard (Longley of Birmingham) for his constant kindness and support. Bishop Cunningham said: “I am delighted to welcome Bishop Byrne as my successor at a time of great challenge and hope in this Diocese. The Lord Jesus is leading us along a road of rich discernment for the future of the Church and its mission. Archbishop Longley said: “I am delighted for the Church in Northumbria and Durham and for Bishop Robert that he has been appointed Bishop of Hexham and Newcastle. Bishop Robert has spent his entire priestly ministry in the Archdiocese as an Oratorian in Birmingham and Oxford and we shall miss him very much. Bishop Byrne’s Episcopal Installation will be celebrated in St Mary’s Cathedral, Newcastle, on Monday 25 March. Full details will be confirmed closer to the date.